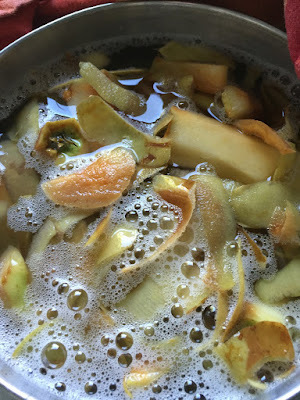 Bitten by that creative Spider: Homemade ACV - who would have thought it is so simple to make your own Apple Cider Vinegar?!? 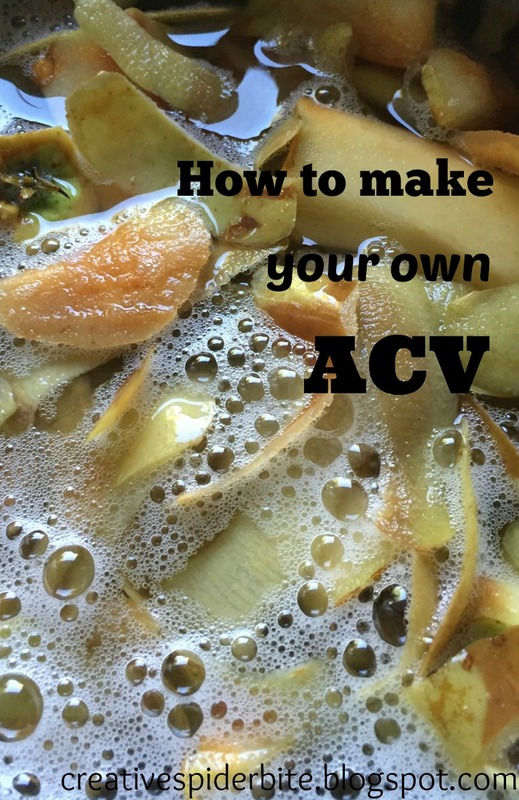 Homemade ACV - who would have thought it is so simple to make your own Apple Cider Vinegar?!? 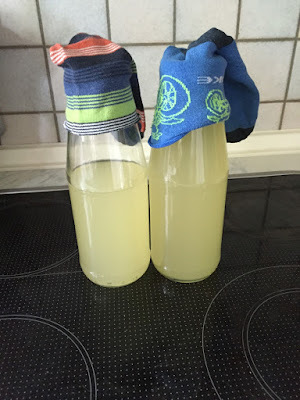 2 years ago I started making our own Apple Cider Vinegar. 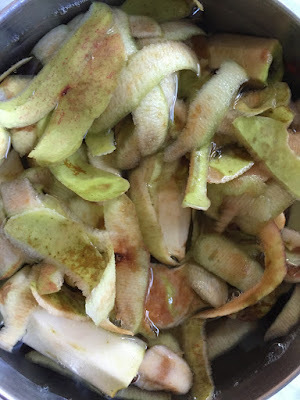 It is very simple and you actually make it out of those parts of the apples that usually end on the compost! 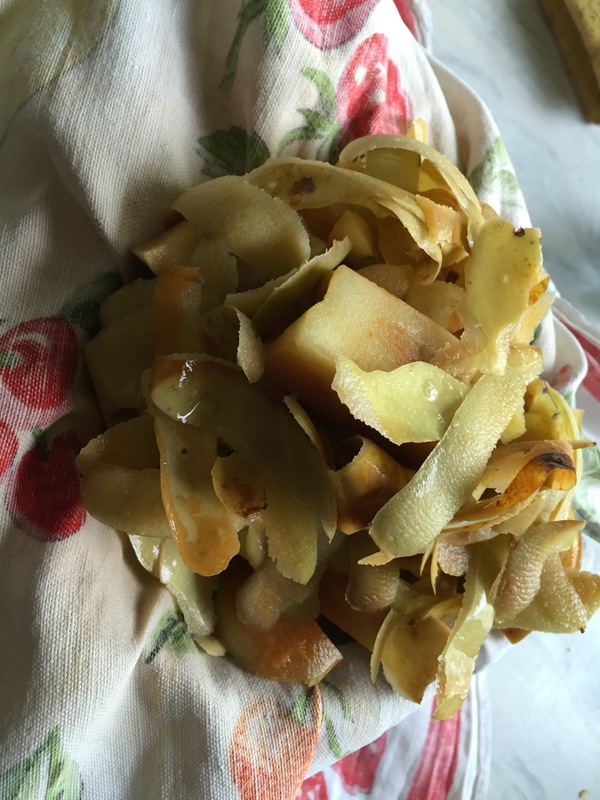 While preparing your organic apples this autumn for what ever projects you have planned, collect all apple peels and cores from previously washed organic apples that are free of worms and brown bits. It is important to make sure, you do not get any mouldy, rotten or wormy bits into your mix, otherwise your ACV will get mouldy! Put the peels and cores straight away in a non plastic bowl and have them covered with filtered tap water within an hour. Pour enough water in, that everything is well covered and maybe floating. Cover them with a tea towel. 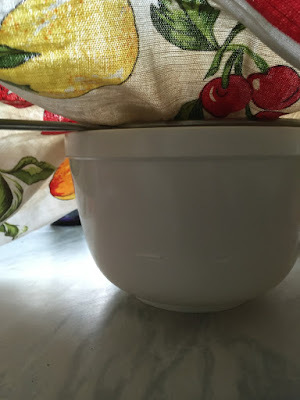 Your bowl should be big enough that you have enough space at the top, that the towel that covers the bowl doesn't get wet. Stir with a fork once a day and cover with a towel after. Bubbles will start appearing after the first two days. 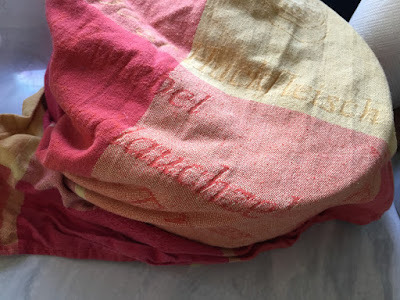 After 5-7 days when it starts smelling alcoholic you strain it through a tea towel, give it a good squeeze to get all the good juice out. 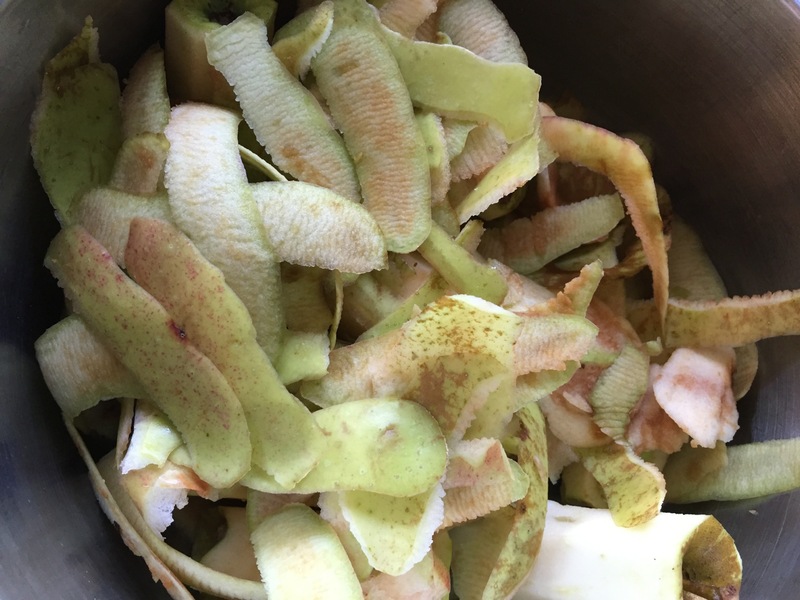 Discard of the apple bits in the towel into the compost. Pour the liquid into bottles and cover them with cloth (or single socks in my case) and let stand in a dark cool place for 6 weeks. In this time you can watch it turn from clear to cloudy and later you will find sediments at the bottom of the bottle and the liquid getting clearer again. This sediment is an important part of the ACV. If you have reached this point, congratulations you have made your own ACV. Stir well before use! And from now on you can safely but a lid on the bottles and store them in the shelf! I have stored ACV for more than a year without it going off. http://www.joleisa.com/appreciate-your-scars/Thank you so much! I'm genuinely impressed! I didn't know it was that easy to make! Must definitely try this. Are you on Pinterest?